The albums are in! And oh how gorgeous they are. 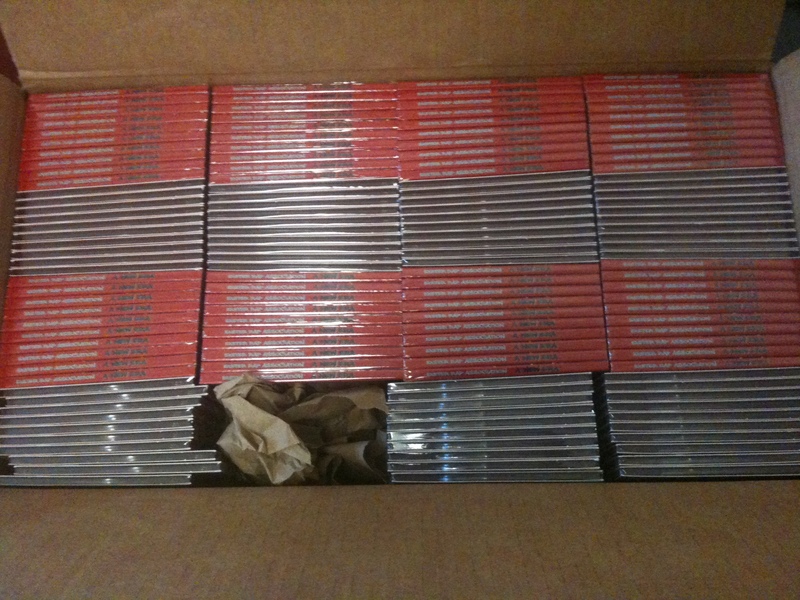 I’m proud to announce that yesterday afternoon we received the first shipment of A New ERA! Since there won’t be anymore Meetings formats, there won’t be any designated times to pick up a copy. We’ll be in Agora and Elm Street fairly often so be sure to stop by! If you prefer a digital copy, the album is online. ALSO, stay on the lookout for details regarding the official post-release party. This entry was posted in Club News and tagged A New ERA, ERA Album. Bookmark the permalink. 1 Response to The Album Is In!